Exxon Mobil Corp unit Exxon Mobil Cepu Limited is expected to produce 216,000 barrels per day of crude oil in 2019, making it Indonesia's biggest oil producer, the country's upstream oil and gas regulator (SKKMigas) said. In second place Chevron Corp unit Chevron Pacific Indonesia is expected to produce 190,000 bpd of crude oil in 2019, SKKMigas chief Dwi Soetjipto told reporters on Wednesday. State-owned Pertamina unit Pertamina EP is expected to produce 85,000 bpd of oil in 2019. Pertamina unit Pertamina Hulu Mahakam is tipped to become the country's top gas producer with 196,000 barrels of oil equivalent (boepd) of natural gas in 2019, up from 149,000 boepd in 2018, Soetjipto said. 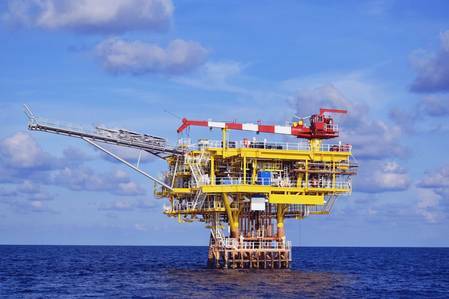 BP plc unit BP Berau is expected to produce 188,000 barrels of oil equivalent (boepd) of natural gas in 2019, compared with 192,000 boepd in 2018. Conocophillips unit Conocophillips (Grissik) Ltd is expected to produce 145,000 boepd of natural gas in 2019 compared with 150,000 boepd in 2018.